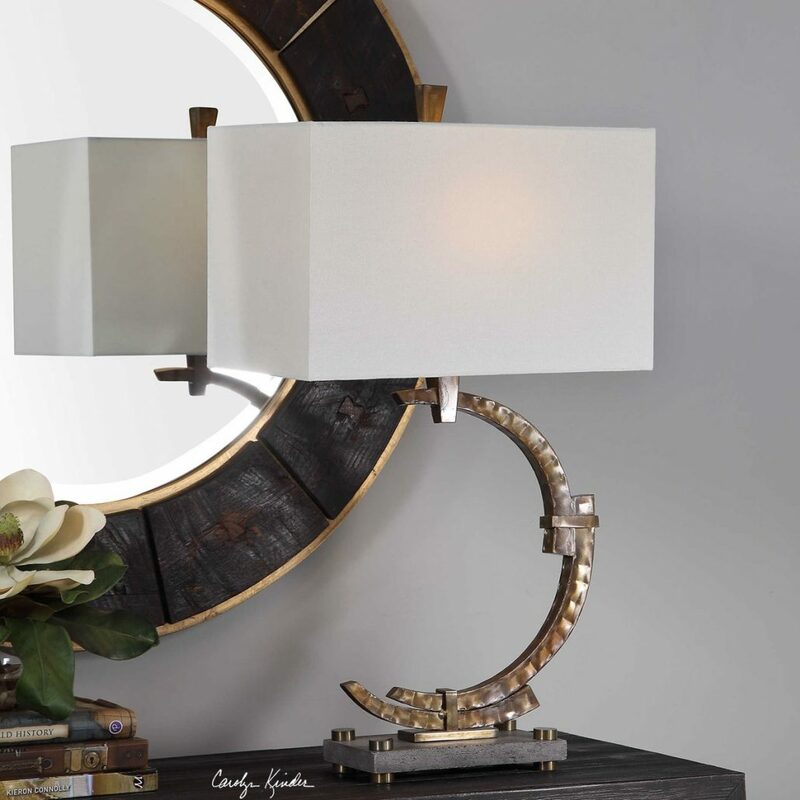 This modern table lamp design is constructed in lightly hammered, forged steel featuring a unique crescent shape, finished in a textured and distressed coffee bronze. Matching feet are fixed to a washed grey concrete slab. A rectangle hardback shade in beige linen is paired with this piece. Designed by Carolyn Kinder International, this unique lamp works well in industrial and rustic interior design styles. Available to trade professionals at Uttermost.com. Explore retail options for this product using Google Keywords Carolyn Kinder Atria Industrial Crescent Lamp.